Yesterday, Pippa Middleton married her long-term love, James Matthews, in a lavish, royalty-filled affair. 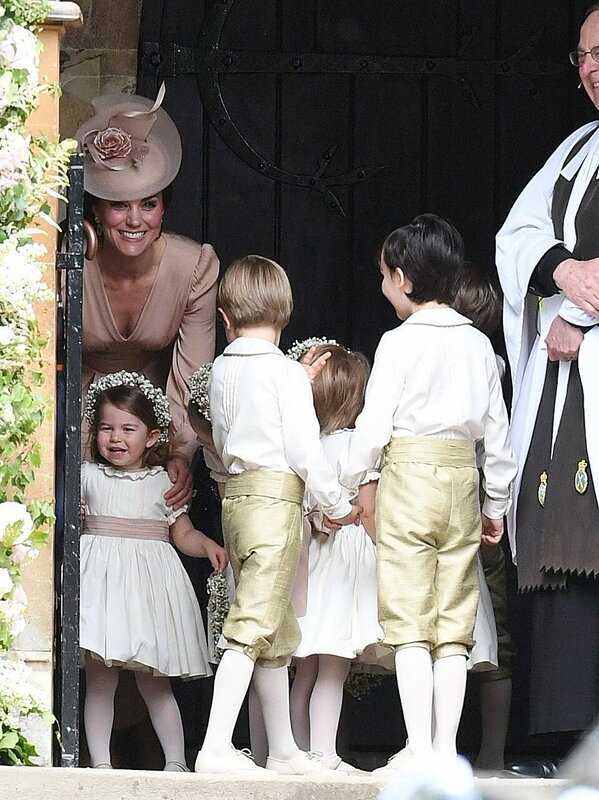 And while the gorgeous bride was the belle of the ball, all eyes were on the mini royals, Charlotte and George - and their adorable little outfits. Prince George, one of the cutest page boys ever, wore a gorgeous pair of beige of culottes and a white shirt. Now that the dust has settled, and the celebrations have come to a close - we have questions. One of the big things we're wondering is where did Pippa get her amazing little flower girl and page boy outfits? Well, we did a bit of digging online, and discovered the store, Pepa &Co, which is where the prince and princess's outfits were bought. Prince George's cute ensemble would have set Pippa back roughly £400, while Princess Charlotte's dress would have come in around the £500 mark. The bride, on the other hand, wore a stunning white lace dress with a high neck and capped sleeves, that is rumoured to have cost around £300,000 - casual. Regardless of the money spent, we hope Pippa and the entire Middleton/ Royal family had a marvellous day! Congrats to the happy couple - may yiu have a long and love-filled life together.